A friend told me about this video; I thought I’d share it. 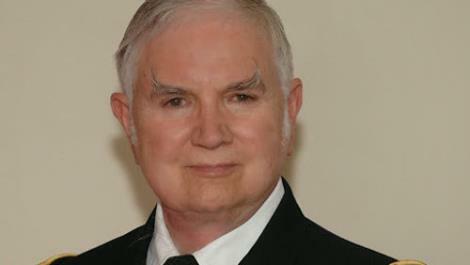 I have to admit I was surprised to see that Michael Aquino, founder of the Temple of Set has been doing quite a few interviews lately. Apparently, Aquino has a new book out called Mind Wars, and he has decided that the best way to promote it is by going on conspiracy shows. I’m sure he’ll generate a decent amount of sales from doing this, but I think it makes him look a bit foolish. Most of these conspiracy theorists don’t know enough about the occult to even have a sensible conversation with Aquino. Aquino knows damn well they’re going to be asking ridiculous questions that have little or no relevance to his book. I just can’t imagine him being so desperate to sell books that he would lower himself this way. Then again, he is the same guy who wrote a lengthy piece about how Motley Crue bassist Nikki Sixx had died in the mid-80s and was replaced by a double, so maybe it’s not really all that surprising after all. I think Aquino feels his Mind Wars book is the conclusions of the essence of his life philosophy.